When I travel to a new country, I always look forward to enjoying their cuisine. This time it was Levantine. In a land where McDonald's is Kosher, you know the people take their food seriously. And in Israel, the portions are larger than life. Everywhere there was hummus and pita and foods laced with za'atar. Most of my meals were pasta, sandwiches, shawermas, salads or bagels accompanied by a glass of freshly squeezed Orange juice. And then there were those weird moments where I'd ask for a mango milkshake and they'd ask me whether I'd like it with milk or orange juice. While Daniela was away, her friend Horin invited me for Shabbat dinners with his family. Shabbat marks the weekend and is the day of rest in Judaism. This means one doesn't use their computer, phone, elevator, car, kitchen or touch any switches. Instead you spend this day resting at the beach, reading and eating meals with your family. It all started with a little prayer followed by the blessing of wine and bread followed by the meal itself. And the food? Well, there was everything from rice, noodles, fish, schnitzel, baked beans, fried brinjal, sweet potato, some more veggies and fruits and even a special tea. I felt so lucky to have been included in this intimate family dinner and to have been able to have experienced Shabbat in Israel. 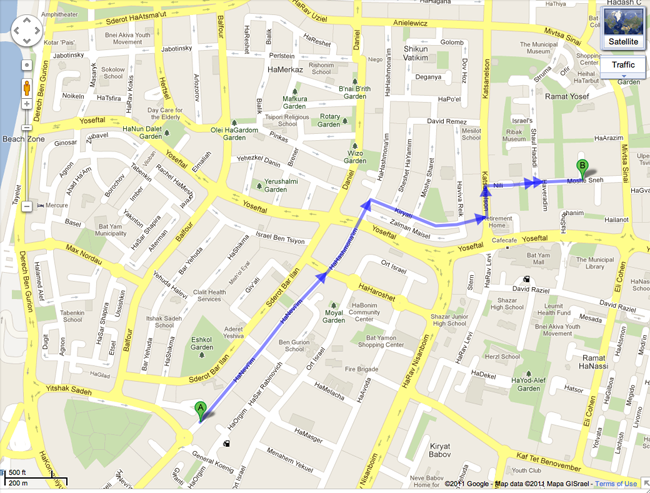 Walking for 30 minutes from Daniela's house to Horin's house on the other hand was maybe not as fun as the meal itself. 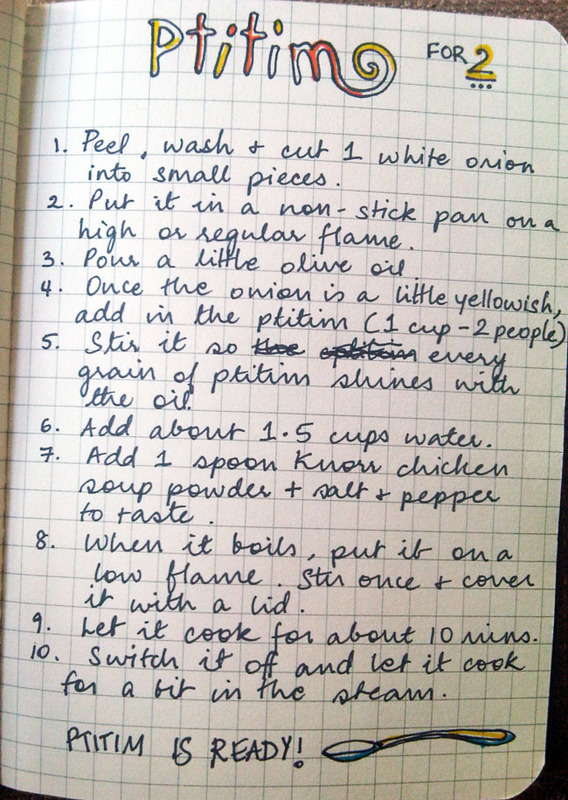 While I was there, I even managed to learn some Israeli cooking. 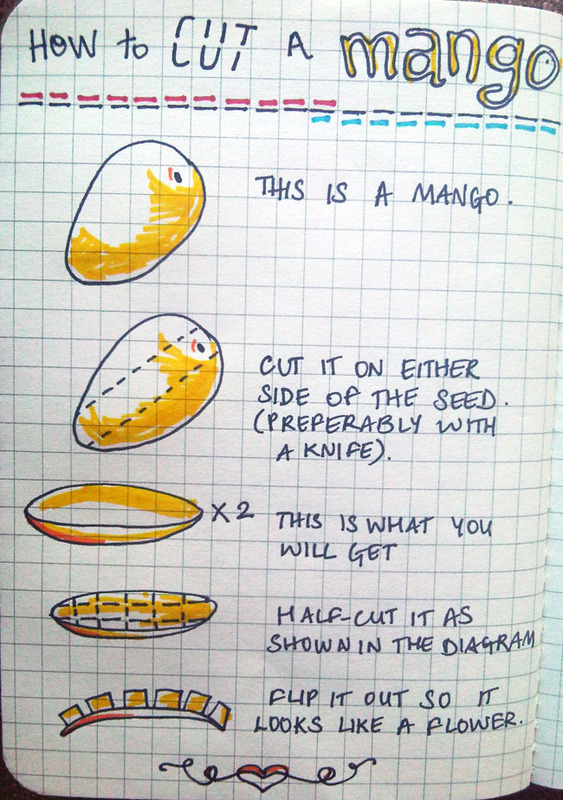 So, here's how you make Ptitim. You find a nice Israeli boy and get him to cook it for you. That's only what I get to do. (I came back to Bombay and tried to re-create this wonderful preparation with all the wrong ingredients. 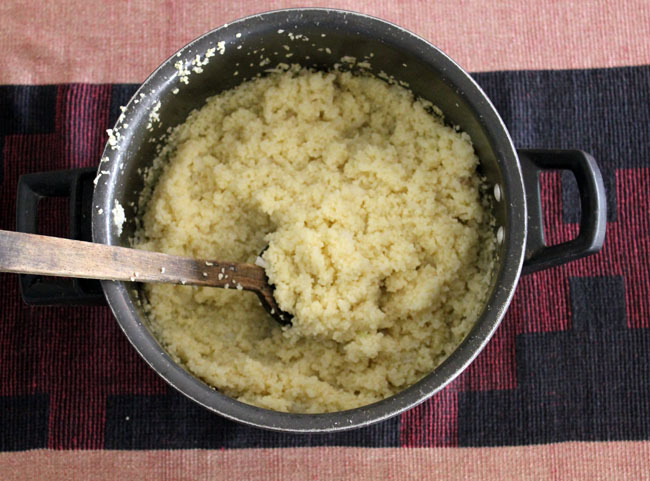 Couscous instead of Ptitim, spring onions instead of white onions and a Maggi chicken cube instead of Knorr soup powder. It wasn't the same but was close enough). 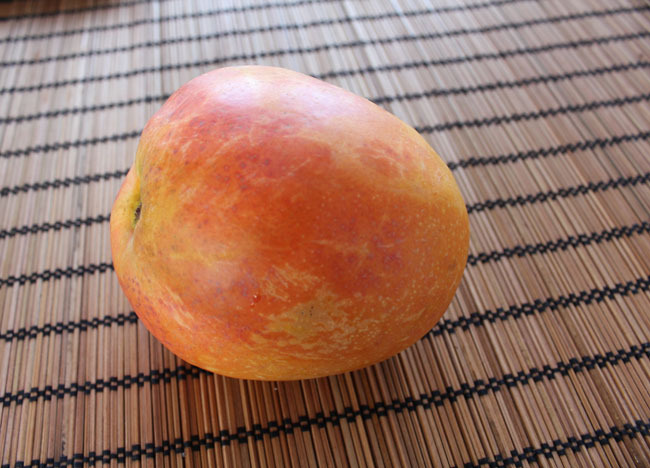 And for dessert - A Mango. It was time for me to stop pretending to live in the Blue Lagoon and learn to cut and eat a mango. Just incase I find my ship back to San Francisco and civilisation someday. Horin taught me how. And I decided to illustrate it for my fellow cavemen. You can eat it with a fork. And if you're lazy/ not ready to let go of your aboriginal habits, you can use your teeth. 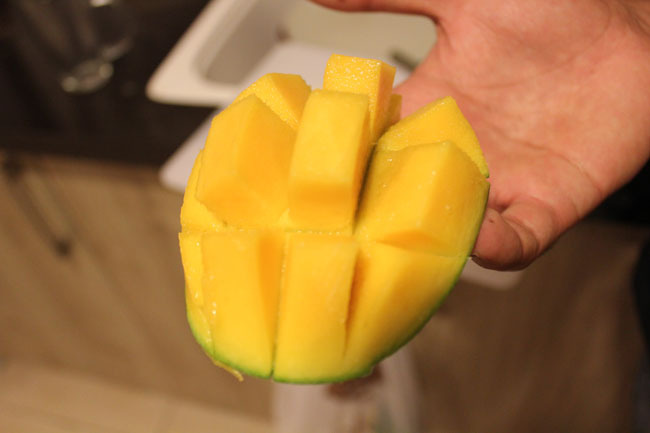 For me, the Mango tasted even better when it looked like a flower.